Heather Jelen had a big weekend. 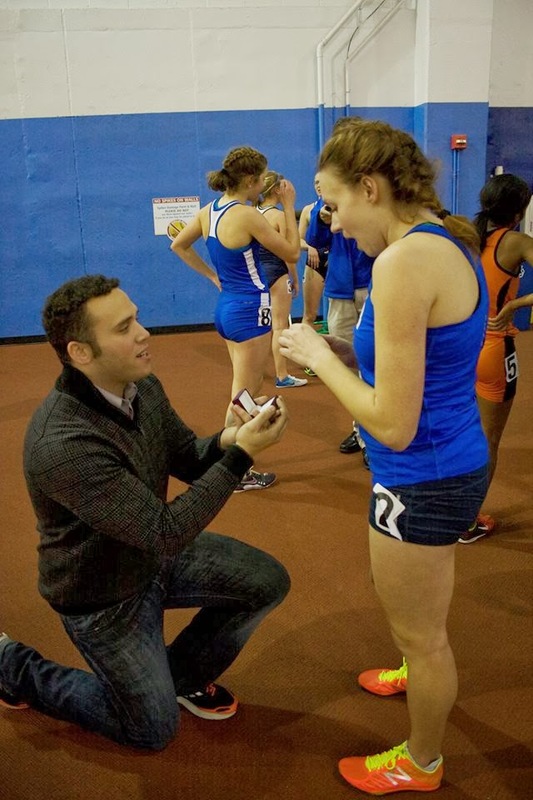 Moments after hitting an indoor PR of 10:31 in the 3k of the Terapin open, Dean, her boyfriend and Georgetown Run Co. manager, made a trackside proposal captured here. Jelen said "yes." Although she did not run yesterday, Club 3k record holder Hilary May also got engaged up in Boston. Avril and Susan, who are already maried, ran great races with 10:09 and 10:34, respectively.